We propose a novel framework called transient imaging for image formation and scene understanding through impulse illumination and time images. Using time-of-flight cameras and multi-path analysis of global light transport, we pioneer new algorithms and systems for scene understanding through time images. We demonstrate that our proposed transient imaging framework allows us to accomplish tasks that are well beyond the reach of existing imaging technology. For example, one can infer the geometry of not only the visible but also the hidden parts of a scene, enabling us to look around corners. Traditional cameras estimate intensity per pixel I(x,y). Our transient imaging camera captures a 3D time-image I(x,y,t) for each pixel and uses an ultra-short pulse laser for illumination. Emerging technologies are supporting cameras with a temporal-profile per pixel at picosecond resolution, allowing us to capture an ultra-high speed time-image. This time-image contains the time profile of irradiance incident at a sensor pixel. We experimentally corroborated our theory with free space hardware experiments using a femtosecond laser and a picosecond accurate sensing device. The ability to infer the structure of hidden scene elements, unobservable by both the camera and illumination source, will create a range of new computer vision opportunities. 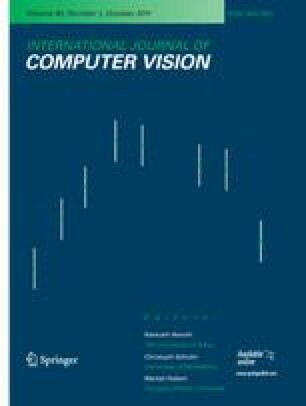 The Marr Prize is awarded to the best paper(s) at the biannual flagship vision conference, the IEEE International Conference on Computer Vision (ICCV). This paper is an extended and re-reviewed journal version of the conference paper that received Honorable Mention in 2009. The online version of this article (doi: 10.1007/s11263-011-0470-y) contains supplementary material, which is available to authorized users.